Copyright © Micro Focus Software Inc. All rights reserved. 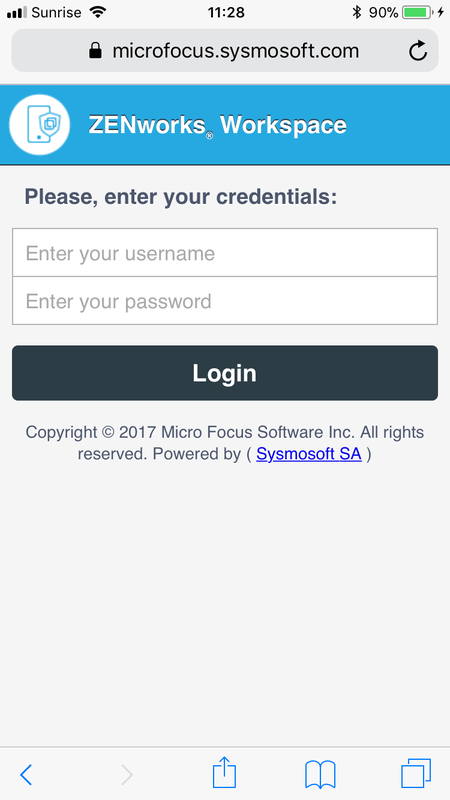 Aim of this document is to guide you through the installation, updating and deleting of ZENworks Mobile Workspace iOS application. 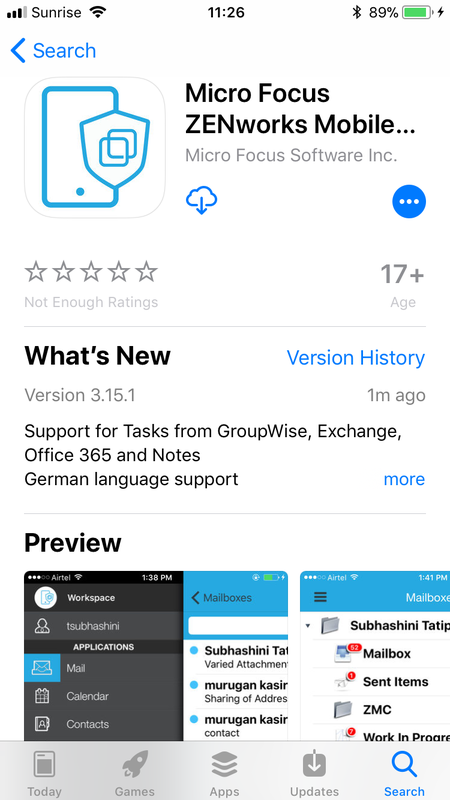 Start the App Store and search for ZENworks Mobile Workspace. Then touch GET or the cloud to start the download and the installation process. When the download is completed, the ZENworks Mobile Workspace application should be available in your SpringBoard. With your iOS device, open your browser and go the address provided by your company. You will be presented with login page. 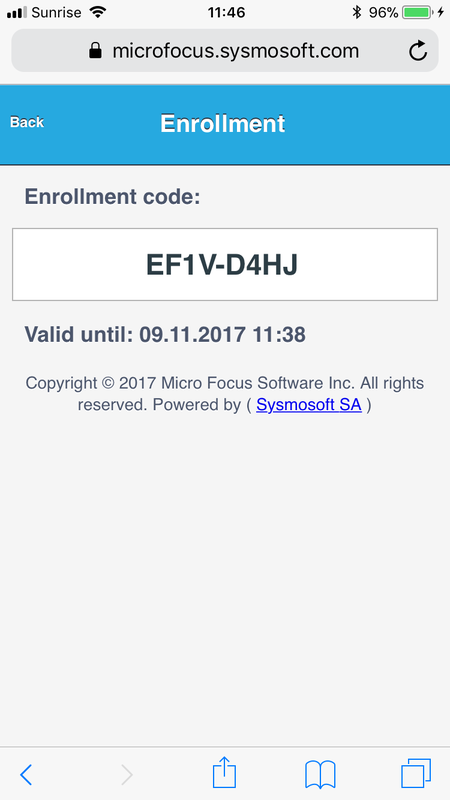 Enter your credentials and touch Login. If, after touching Login, you are going back to the same page, ensure cookies are accepted. After login, you will be offered to download all available applications. 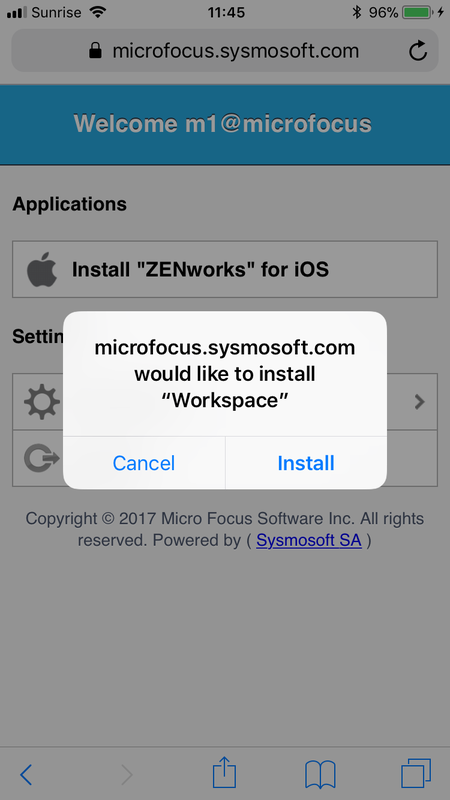 Touch Install "ZENworks Mobile Workspace" for iOS. You will be asked to confirm that you want to download the app. 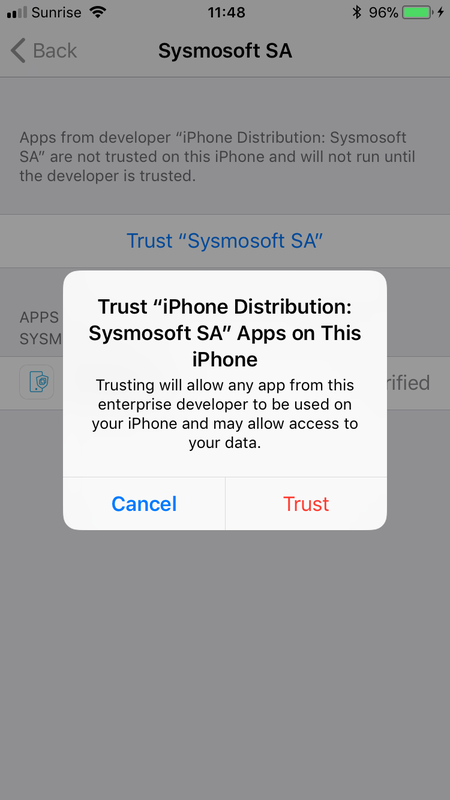 Touch Install to confirm that you want to download the application. 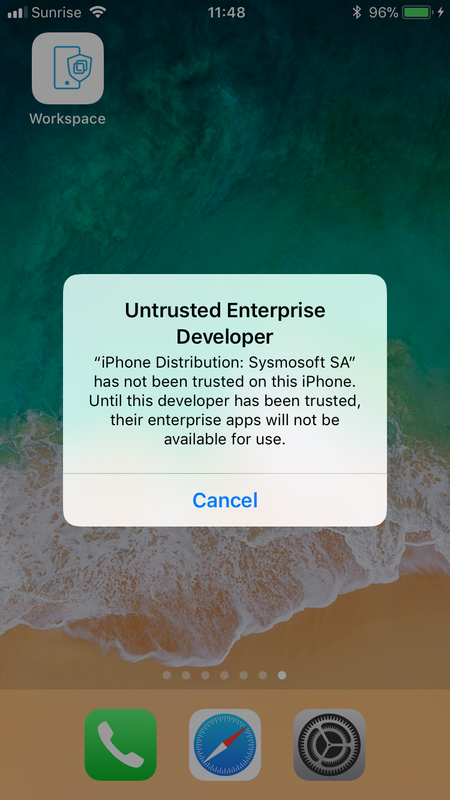 The first time you launch the ZENworks Mobile Workspace application, you need to trust manually the enterprise certificate. Now your able to launch the ZENworks Mobile Workspace application. follow the different action for each specific view. 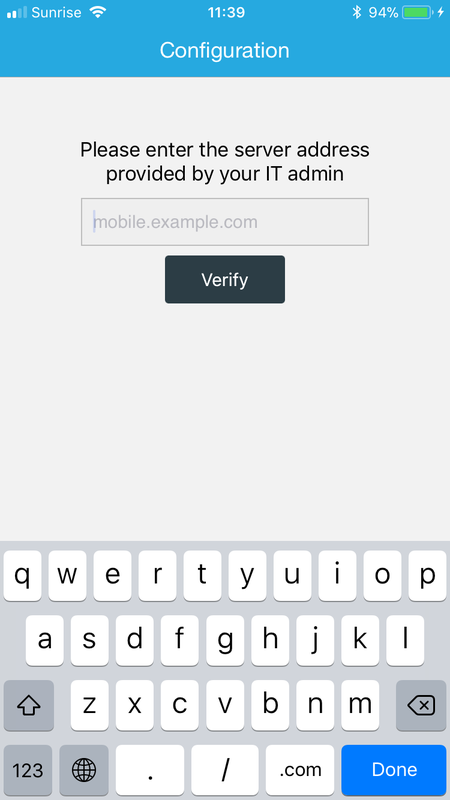 Enter the server address provided by your IT admin and touch Verify. 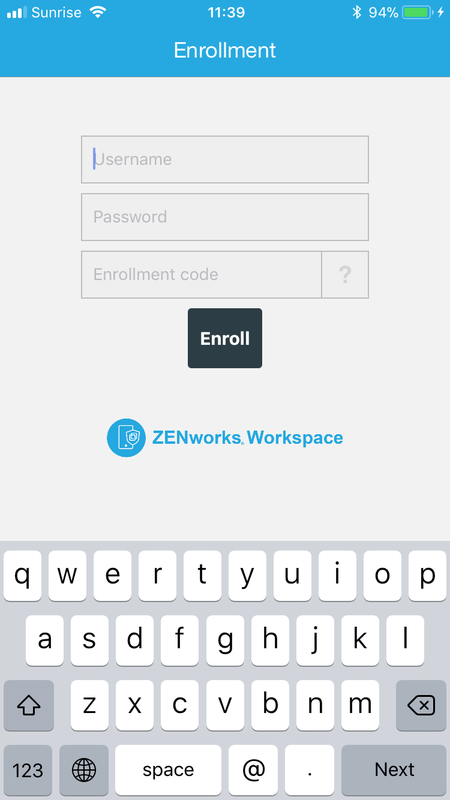 When you launch for the first time the ZENworks Mobile Workspace application, you need to enroll yourself. To get your enrollment code, log in to the web server. You see your enrollment code. If not, ask your IT Admin to generate one for you. 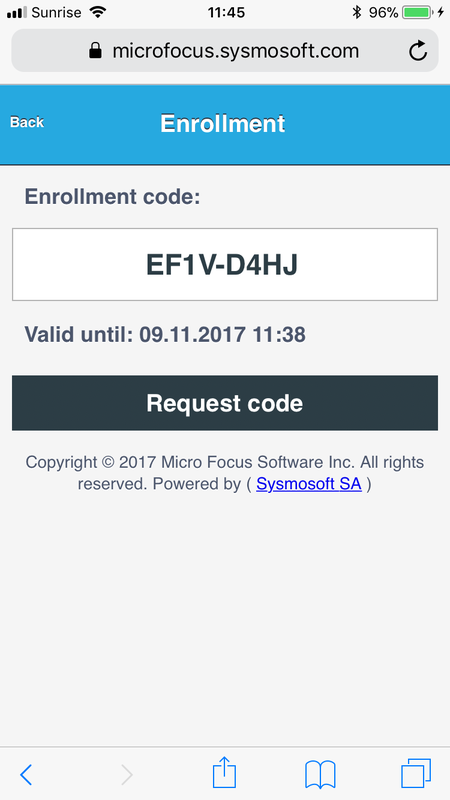 If it is available, you can generate an enrollment code by touching Request code. If for any reason the user is not able to enroll and login anymore even after IT admin action, disenrollment could be used at last resort. 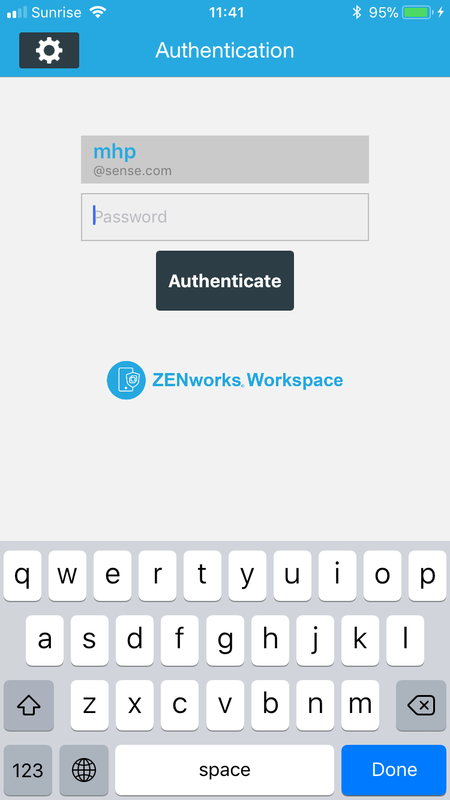 Open ZENworks Mobile Workspace application. Touch the wheel on the upper-left corner. 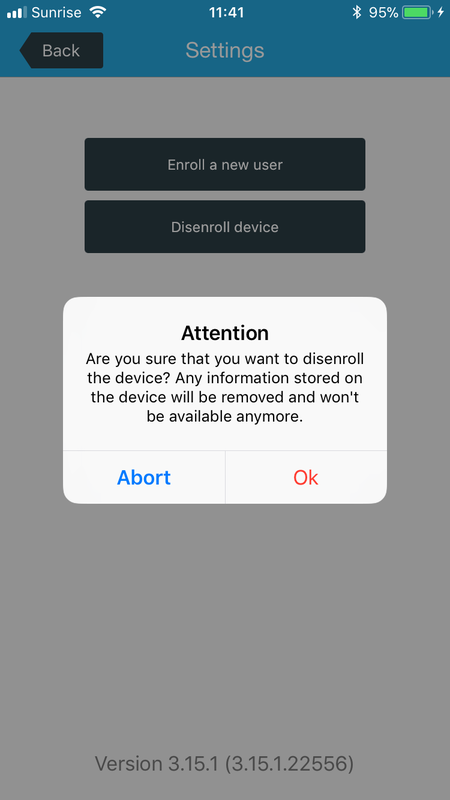 Confirm the disenrollment by touching Ok or cancel it. Disenroll device disenroll all the users enrolled on the device.